Call us today to discuss your unique project. Returning clients wanted a white kitchen that was simple and functional. Working collaboratively, we decided that an additional colour – cool grey – would break-up the fluent use of white and connect the dining space. 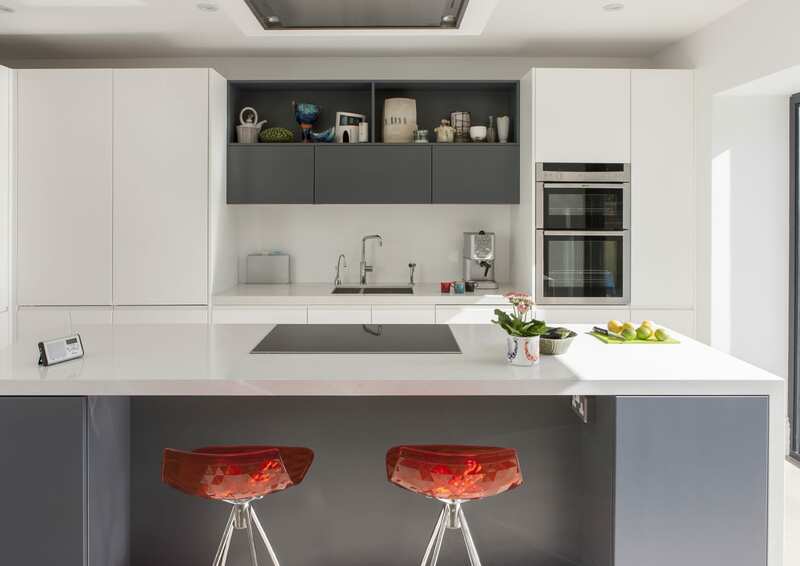 We designed the open-plan kitchen diner with a large multi-functioning kitchen island, incorporating a breakfast bar with much-needed push-to-open storage units. 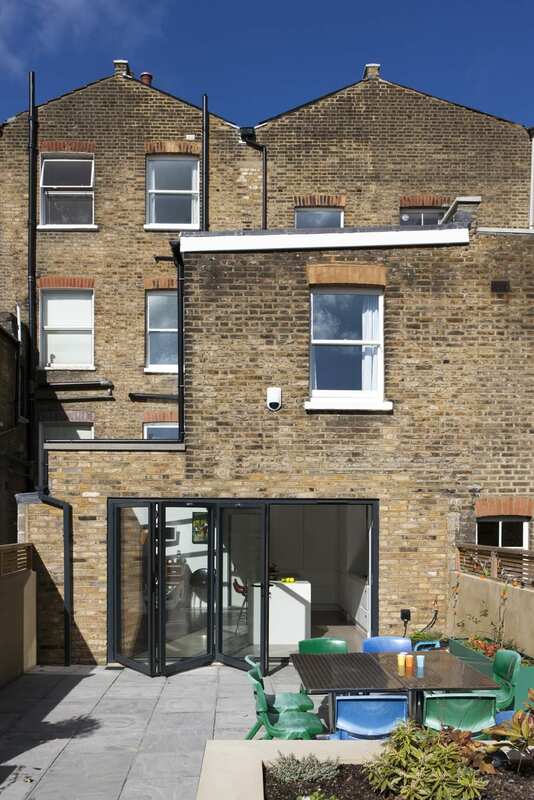 Generous amounts of natural light are poured in from the rear and from a large skylight giving the feeling of more space. 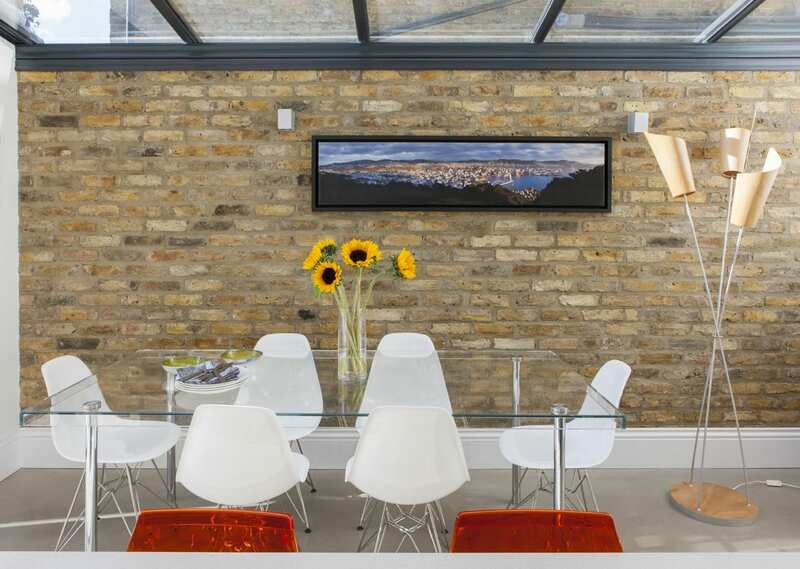 Exposed brick add warmth and texture to this open-plan kitchen and diner. 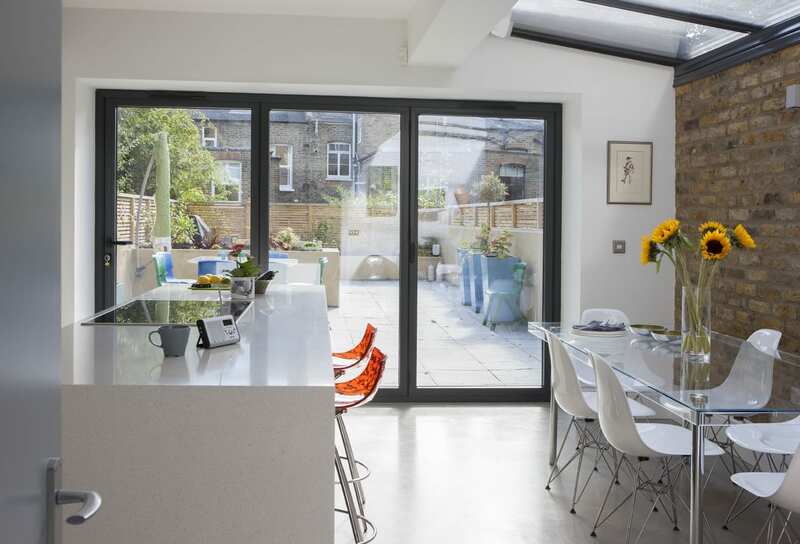 Bifolding doors presents a direct link from garden to an open-plan kitchen diner.